Underground Tanks- 500 Ltr underground rainwater harvesting tank is slim and designed with extra strength and durability. 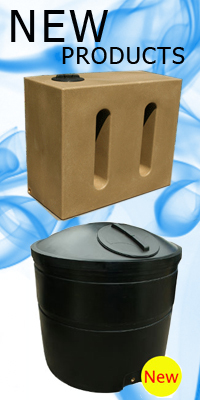 The slim underground water tank is ideal for those that need to store water in a tight space. The 500 litre has two 4" connections ideal for connecting underground pipework. 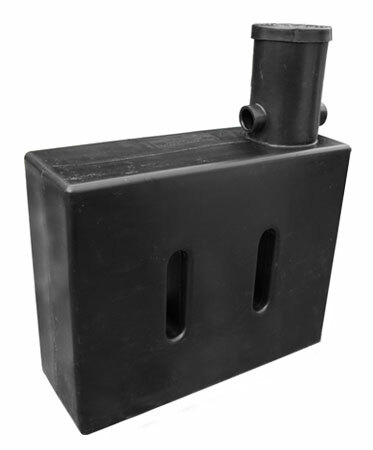 Made from High Density Polyethylene (HDPE) our new 500 Litre water tank comes with an pust down lid which is ideal for installing a submersible water pump for watering the garden or even washing the car. Also a 1" BSP outlet is pre-moulded in the tank. 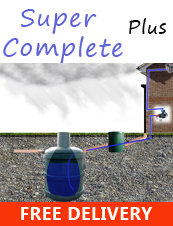 The Underground rainwater harvesting tank 500 Ltrs is easy to use and store underground. A strong and durable water tank that is made here on site and made to last. Storing your rainwater will save you money and you can use your stored rainwater to flush your toilet or use your dishwasher. With filteration you can also use your tank for drinking water. Make it work for you!